On a hot summer day, there's nothing better than an afternoon at the pool. Thanks to Bluefield, W. Va., Lodge No. 269, local youth were able to share in this favorite summer pastime. 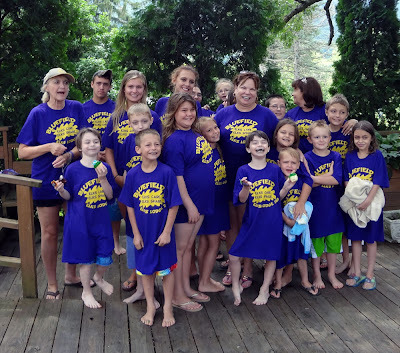 An Elks National Foundation Promise Grant helped fund this pool party, during which the kids learned how to swim and found out what the Elks do for the community. Elroy the Elk and Lodge members were on hand to ensure everyone had a great time.